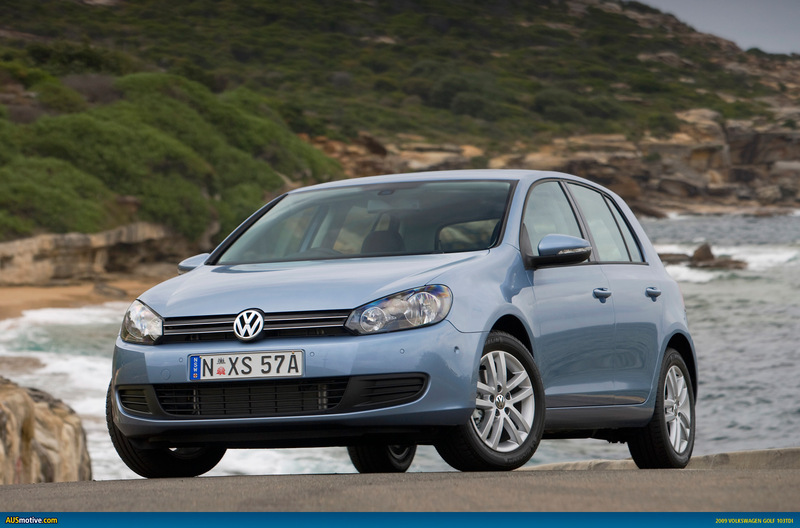 Volkswagen Australia has released pricing and specification details for its new Golf range. Most dealers across the country currently have stock either on their showroom floor or in storage ready for display this weekend. The media launch took place in Byron Bay earlier today and you can expect to see initial reviews around the interweb before next week (in the meantime check out our reader review from earlier this month). The prices mentioned are all for 6 speed manual. There is a DSG option available across the range for an extra $2500. For the 1.4 litre engines the DSG is a new 7 speed option, while the 2.0 diesel has the more familiar 6 speed dual clutch box. You can expect to see new models added to the Australian lineup before the year is out, including, with any luck, the new GTI. While the outside may not differ radically from the outgoing Mk5 model, the Mk6 introduces some new technology to the local market for its segment. Items such as Adaptive Chassis Control and Rear View Camera, to aid reversing, are generally found on more expensive cars. 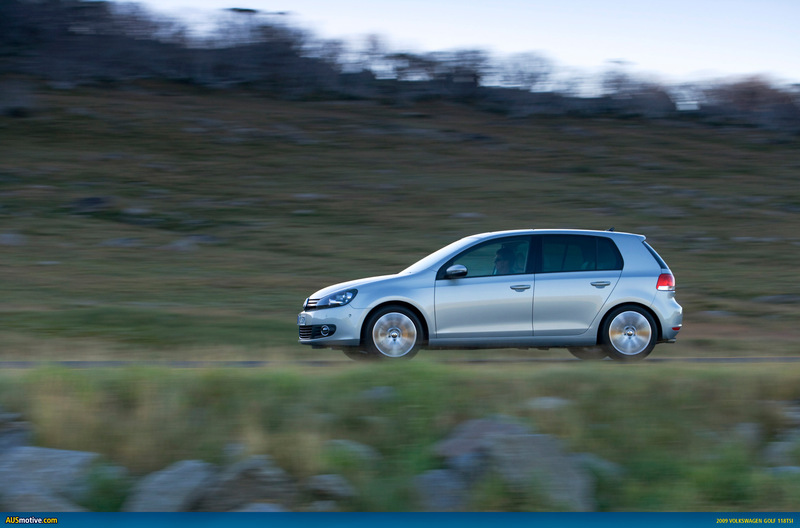 Safety is one aspect Volkswagen prides itself on, and the new Golf is no different. 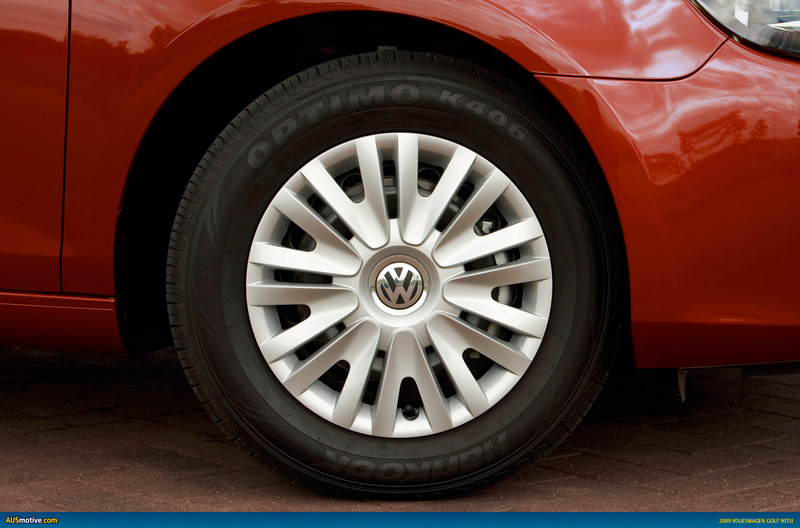 The Mk6 has already been awarded a 5 star rating from Euro NCAP. 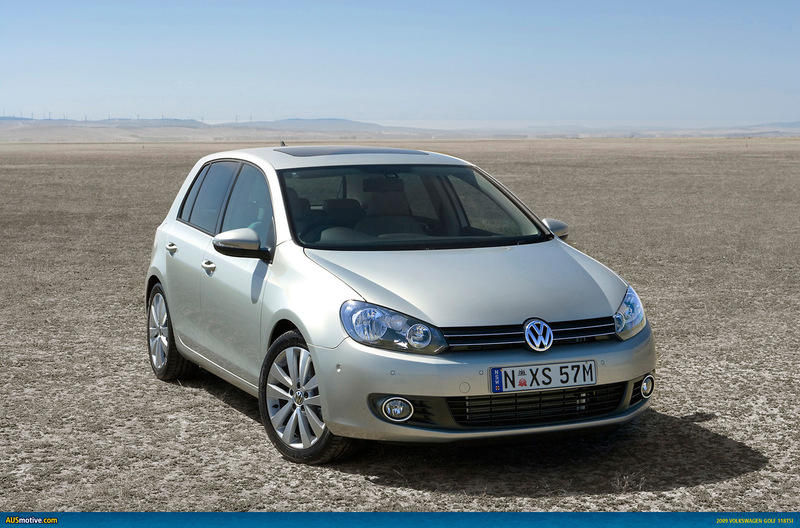 One would expect the sales charts won’t differ greatly from the Mk5, either. 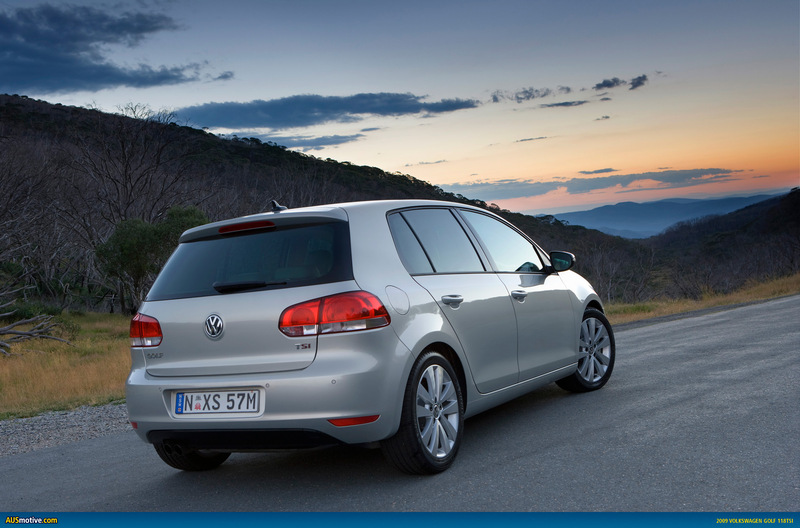 The previous model Golf has proven to be a sales success for Volkswagen Australia, and I think it is safe to assume the Mk6 Golf will follow suit. Volkswagen Australia’s press release follows, along with full pricing (including options) and more pics from the Australian model range. Golf’s high customer value and comfort defy class distinctions New Golf design points the way to Volkswagen’s future TDI, TSI and DSG systems reduce fuel consumption First Golf with Adaptive Chassis Control. Byron Bay, February 2009. 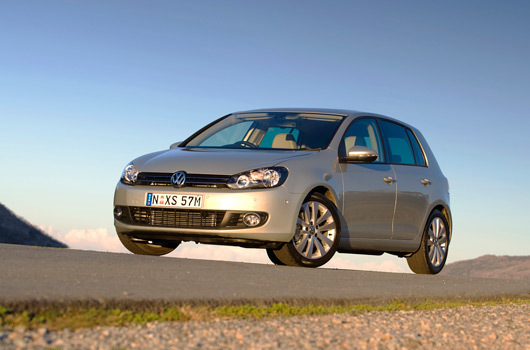 Volkswagen is sending its sixth generation of Golf out into the world. The Golf is a phenomenon, regardless of its particular generation. This style icon defies all automotive and social class distinctions and has come to represent the benchmark in its segment. 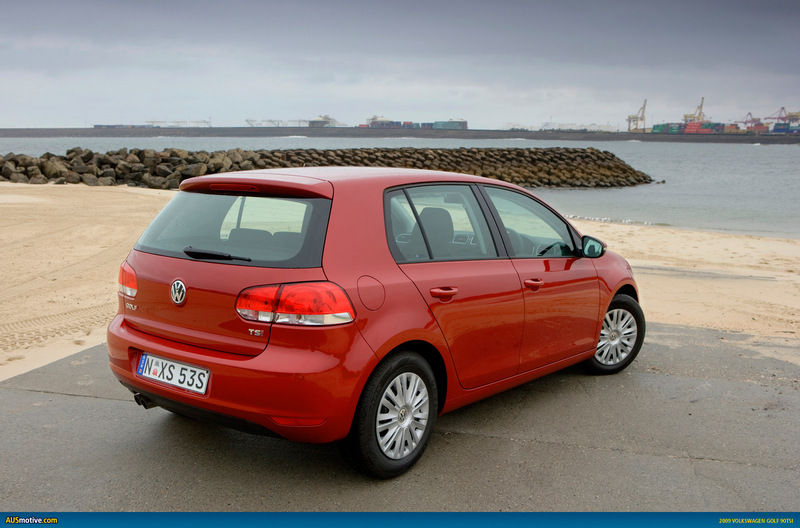 The Golf is the only one that always fits right, and the new one is even better fitting. The team headed up by the Group’s chief designer, the Italian Walter de Silva, has succeeded in giving the Golf a presence, a sharpness, a power that generates even more fun. Data such as an average fuel consumption of 5.3 litres per 100 kilometres for a 103kW TDI with the manual transmission put fuel prices in their place. Upon request, the Golf can park itself nearly automatically in the city thanks to the optional “Park Assist”, and at the push of a button it can transform itself from a cruiser to a sports car when the new optional “Adaptive Chassis Control” system is fitted. Above all, the car exhibits a standard of quality never before attained in this price class. Prof. Dr. Martin Winterkorn, Chairman of the Board at Volkswagen AG, sums it up: “This sixth generation of Golf cars will completely redefine the quality and comfort level of its class over broad categories, offering more customer value than ever before”. The clear and powerful styling of the Golf being offered in the “Trendline” and “Comfortline” equipment lines is showing the entire brand the way to the future. 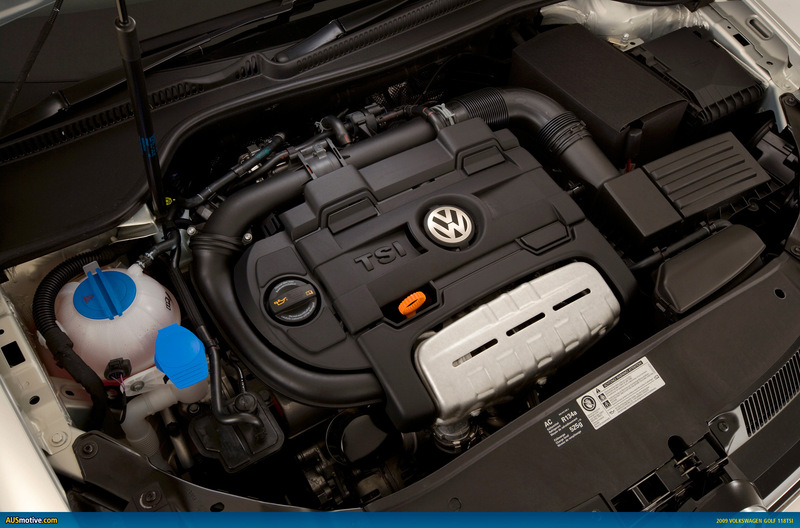 The Volkswagen’s acoustic properties and overall comfort tear down class distinctions. 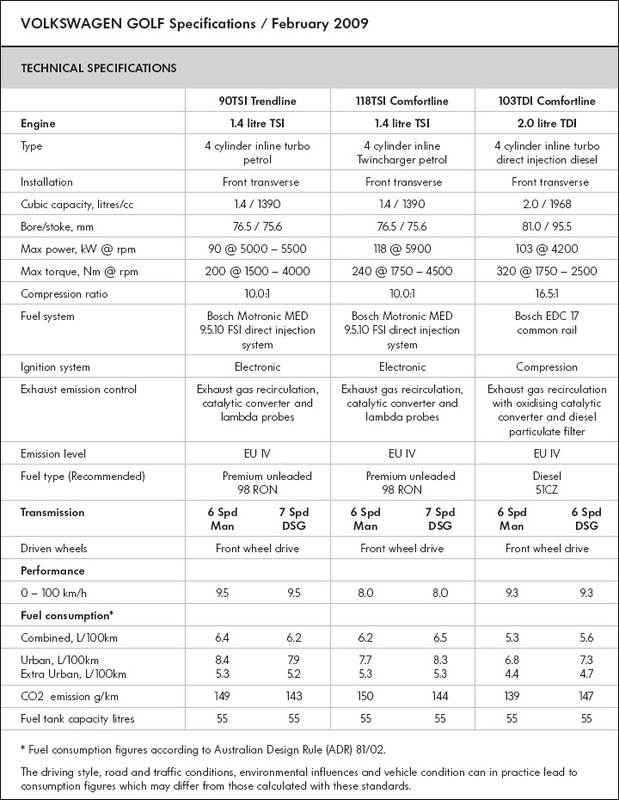 Innovative engine and transmission technologies reduce fuel consumption. Assistance systems such as “Adaptive Chassis Control” and “Park Assist” – bring additional top technologies to the Golf class. A new ESP system, with finer response over its control range, further optimised crash properties, seven airbags including a knee airbag, the safety optimised head restraints (WOKS) that work to counteract whiplash trauma and daytime running lights provide for a maximum level of safety. Especially in a direct comparison of generations V and VI, it becomes evident just how much the new Golf has changed. The design team – headed up by Walter de Silva, Klaus Bischoff and the Group’s director for creative design, Flavio Manzoni – crystallized out the Golf’s essential DNA and sent it on a trip to the future. Style features include the clarity of the first generation’s front end and the C-pillar that was perfected in the fourth generation. The roof section now rests on a prominently contoured shoulder section. Responsible for this is a dominant curved line that extends from the headlights back to the taillights. 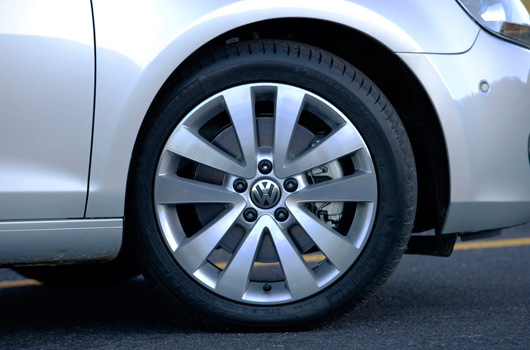 This side profile line – which Volkswagen Design calls the “character line” – also gives the Golf a fuller, lower stance on the road from a lateral perspective. All body surfaces are more relaxed, more athletic. In front, the new car adopts the radiator grille of the first Golf generation that is horizontally aligned between the headlights; the grille itself is in high-gloss black. The lines of the bumper match those of the radiator grille. Beneath this is a section with another air scoop. Also presented over a black background are the chrome light housings of the dynamically styled headlamps. The rear too is characterized by a predominance of horizontal lines. The taillights – now very wide – are marked among other things by an unmistakably unique night design. 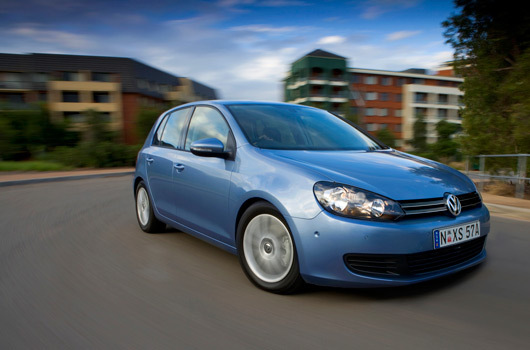 Overall, the new Golf – in the interplay of all of its design characteristics – gives the appearance of a significantly wider, flatter and higher end car. The car’s exceptionally high value also applies to the newly designed interior, whose refined surfaces and features completely transform class distinctions, both to the touch and visually, especially in the cockpit area. 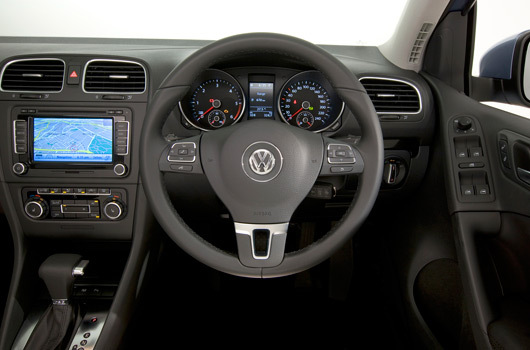 The appearance and layout of materials – as well as details such as brushed chrome accents and round instruments and steering wheels – leave the impression that one is actually sitting in a car of the next higher segment. Ergonomic properties of the car’s interior were also further developed. For example, all controls are even easier to use. They include controls for the automatic climate control system, the RNS 510 satellite navigation system with touch screen and the power window controls that are now located further forward in the door trim, making them easier to access. There is a common thread here: Volkswagen’s typical attention to perfection of every detail in the car. 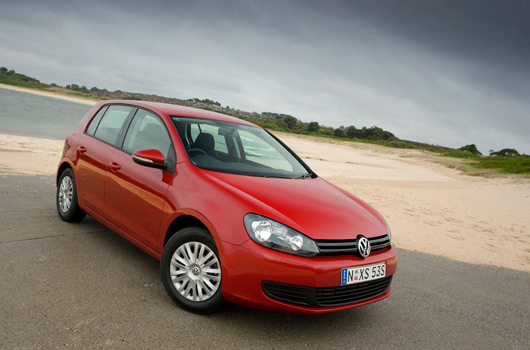 Take the example of the optional leather seats: a new, more robust leather is being used for the first time on the Golf. 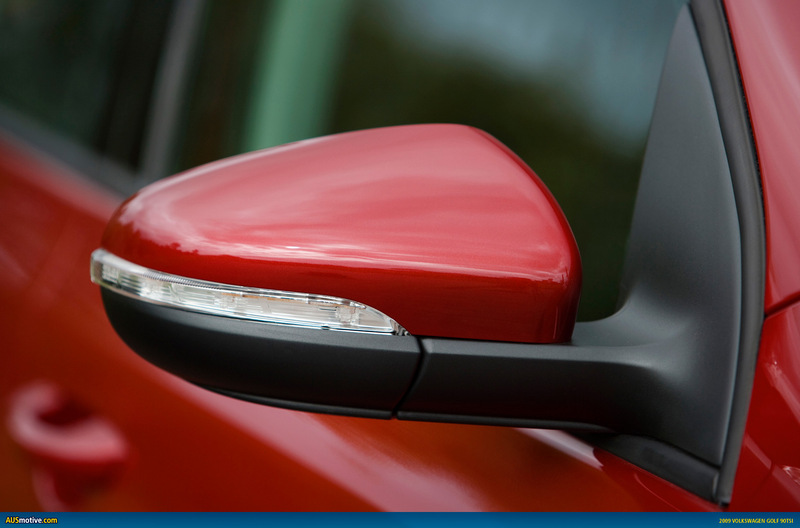 Or the outside mirrors: thanks to their aerodynamically optimized shape they get significantly less dirty. They are easier to adjust from the inside, since the power mirror adjustment control is now located higher and further forward on the door trim. The new Golf is characterized by first-class acoustic properties. A special sound-damping film in the windshield reduces driving noises, as does the newly developed seal design on the doors and side window guides. Significantly less wind noise is generated by the outside mirrors due to their new shape. Furthermore, special modifications were made to better isolate the engine and passenger compartments from one another acoustically. Quiet rolling tyres and new engine bearings round out the noise reduction program. Making a significant contribution to the pioneering acoustic properties of the Golf is the exceptionally quiet common rail TDI engine being implemented on the Golf for the first time. Two balancer shafts eliminate undesirable vibrations. 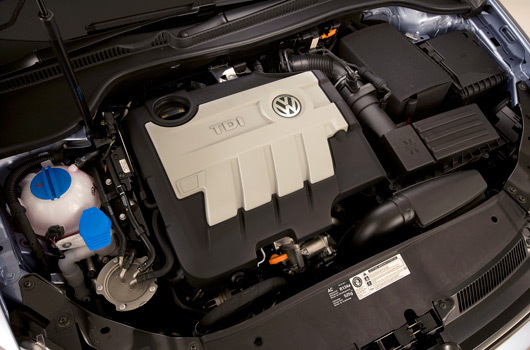 At its Australian market launch Volkswagen will be offering a 2.0 litre TDI engine in the Diesel range; it delivers 103 kW and is fitted with a diesel particulate filter (DPF). 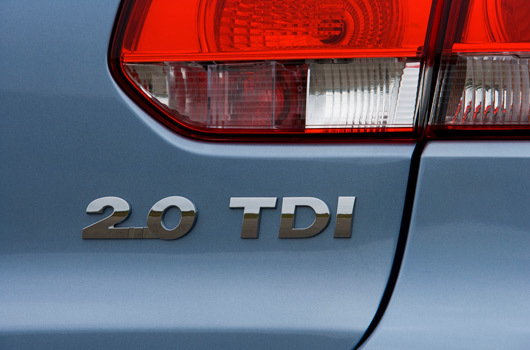 The new TDI is exceptionally fuel efficient. The manual 103 kW diesel is satisfied with just 5.3 litres of fuel per 100 kilometres (139 g/km CO2). Initially, two variants of the petrol engines will be offered; a turbocharged 90kW TSI and a turbo and supercharged 118kW TSI. 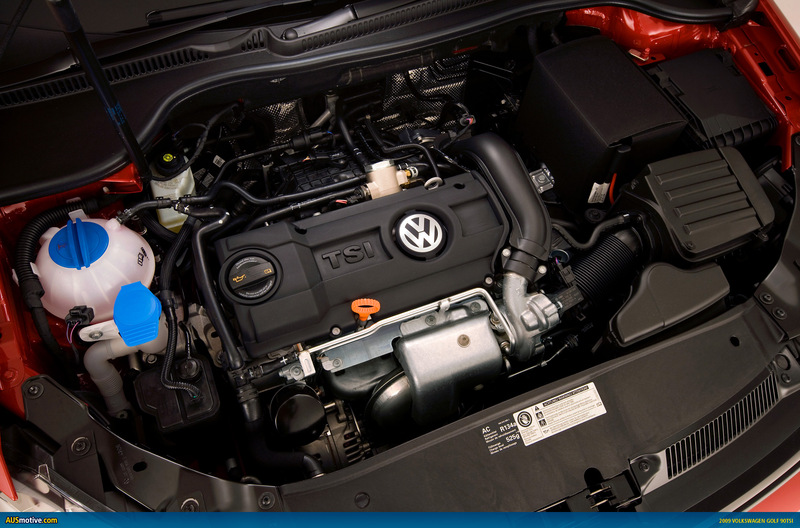 Both petrol engines are pioneers in economy. The optimized 90 kW entry-level engine with DSG transmission consumes just 6.2 litres of premium unleaded petrol per hundred kilometres (143 g/km CO2). The turbo and supercharged engine once again makes its appearance as a prime example of efficiency, with the 118 kW manual transmission, the new Golf 1.4 TSI consumes just 6.2 liters of premium unleaded petrol per hundred kilometres (150 g/km CO2). 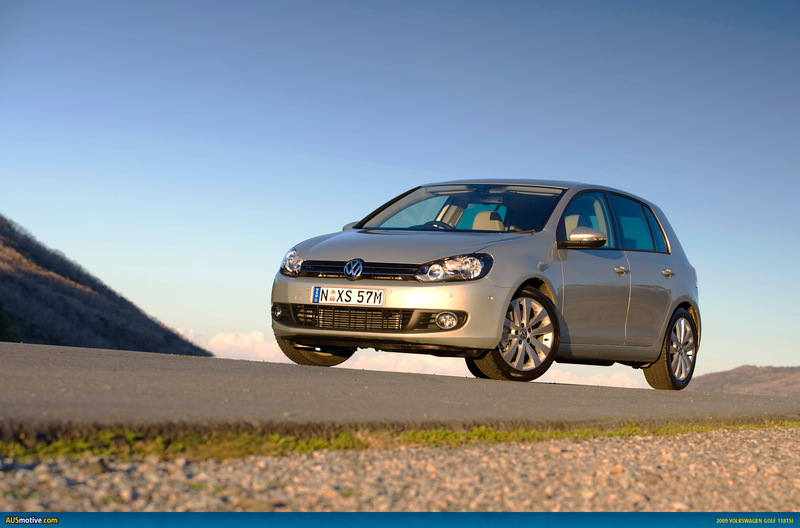 All petrol and diesel engines may be paired with Volkswagen’s dual clutch transmission (DSG). The two petrol engines use a new 7-speed DSG transmission while the high-torque diesel is available with a 6-speed DSG. Pricing for the Golf remains unchanged from the previous generation which starts at $25,990 for the 1.4 TSI 90kW manual and rises to $35,690 for the 2.0-litre TDI with a six-speed DSG transmission. 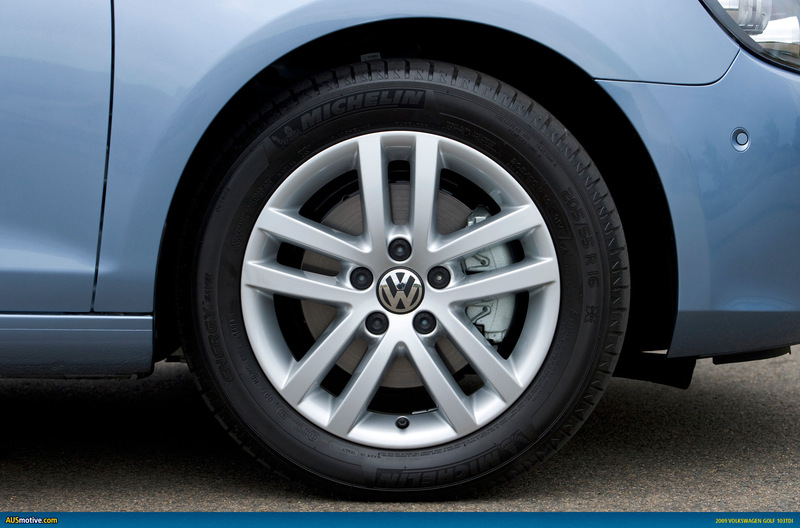 * Please see your Volkswagen Dealer for combination prices with Leather Upholstery and Adaptive Chassis Control. I really DON’T want to be a nay-sayer but the only improvement is the options list. I keep hearing about the cabin being very good but it doesn’t seem to be enough to warrant a MK increment. From the MK4 to MK5 the improvments were much more. New chassis, rear suspension, motors, safety. I guess I am saying I would have expected more for the money. Still am keen to drive one though. However, it seems the main reason for bringing the Mk6 forward was to reduce the costs of making the car compared to the previous model. On that basis, it seems like a solid step forward. Although, not earth shattering, as you pointed out. Rumours are already circulating that the Mk7 Golf is only 3 years away, too! If that is the case, then expect a bigger change with that model. Whatever the case turns out to be, I reckon the Mk6 will still sell quite well, and, presumably, that’s all Volkswagen care about. Anyway the VW dealer said that the Mk VI official comes out tomorrow. Can’t wait. Great write up and attention to detail, as always. Mar 8, 2009: AUSmotive.com » The Mk6 Golf - it really is recycled!